P.s- Yes, these are photos from my living room, again. The similarity was just coincidence due to my balloon excitement. 1 | Fold the material you’re using for your tassel in half, and cut long slits leaving about an 1 1/2 ” area at the top. 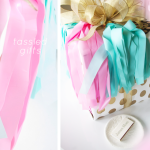 2 | Take a piece of ribbon and wrap it around the middle of the slits and knot. 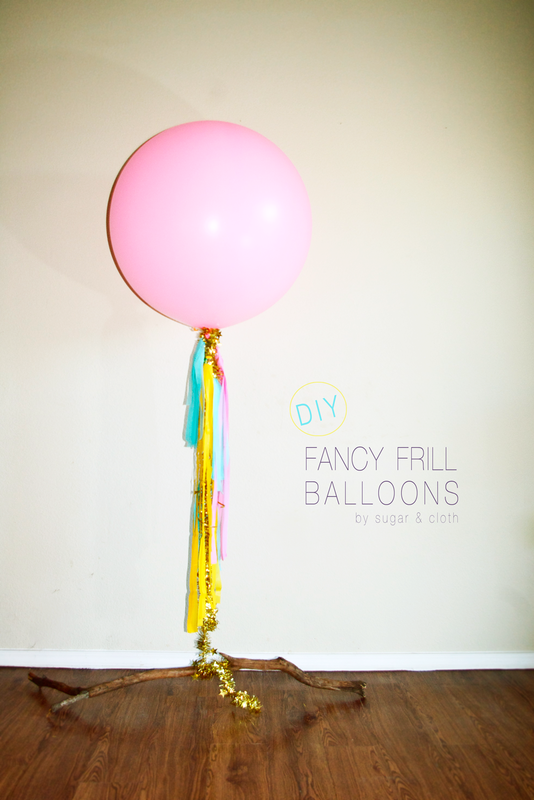 (This will be what you use to tie your tassel to the balloon strand with. 3 | Begin folding the edges of the of your paper in until you have about an inch width gathered in the middle. 4 | Take another piece of ribbon and staple it to the fold on the the top of your tassel, then begin wrapping the excess ribbon around the stapled piece. 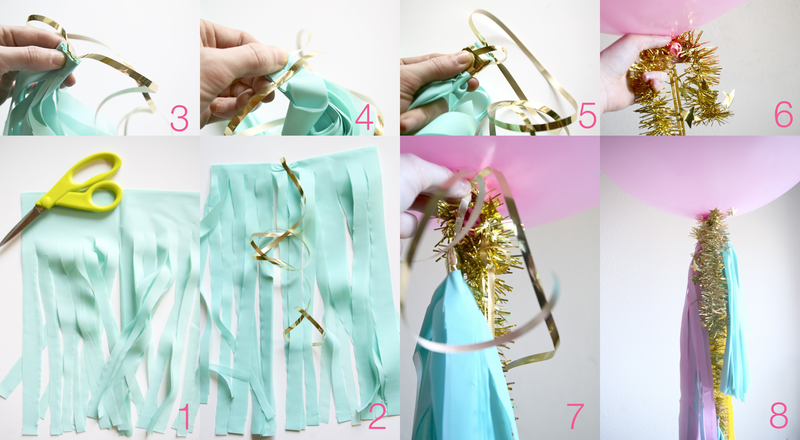 6 | Tie your garland/ribbon for the main strand to the balloon. 7 + 8 | Begin attaching the tassels to the main strand with the ribbon from step 2, and continue until your balloon is nice and fluffy! 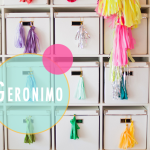 Decor // Jihan Zencirli of Geronimo! 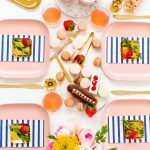 i may use this for a tea party. i may hunt down some 36inch balloons to! They’re easy to find online in lots of colors (and inexpensive). I found some at a local party store, too. Hha this is cute. I was thinking for my wedding too! Yes! Especially using creamy, neutral colors. I love this! I’ve been thinking about attempting a similar DIY. Did a party store fill the balloon for you? I heard they take a lot of helium? How long did the balloon last once it was filled? Thank you SO much for sharing :) I absolutely love the idea and can’t wait to do this for my daughters 5th birthday party this month. p.s. 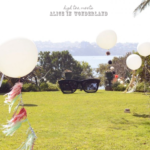 I just posted a link to this on my blog. I love this! I have bought these huge balloons for photo shoots, my kids birthdays, and now as a backdrop for a table at a baby shower I’m throwing. 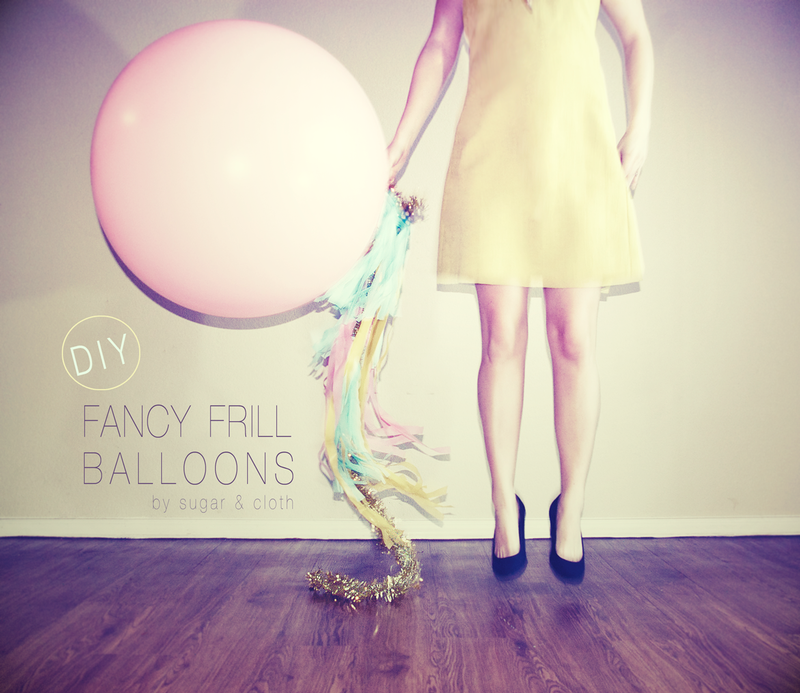 Thanks so much for this DIY, I have been wanting to spruce up these already awesome big balloons! So sweet I wanna eat it!!! :) Love it! 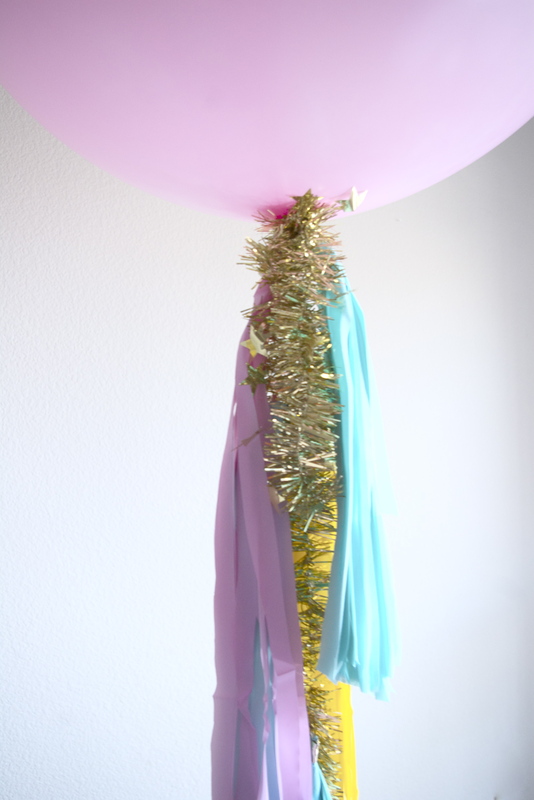 what’s the best way to tie off the 36″ balloons? I’ve got some that I’m planning to use for my son’s first birthday and I’m not sure how to tie it off securely. I’ve read somewhere that some kind of plastic lock tie can be used.